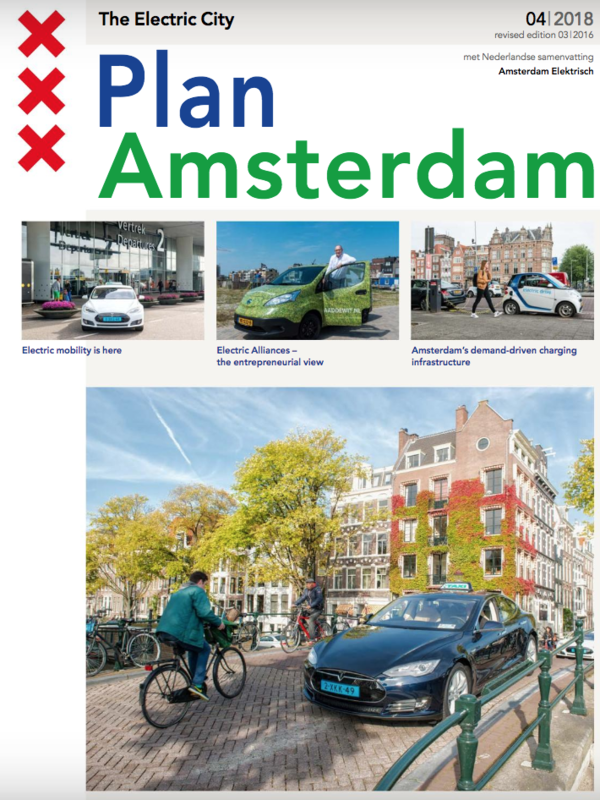 Amsterdam (NL) has developed into a true Living Lab for research institutes, innovation businesses and start-ups in the field of electric transport. The city council facilitates its ‘electric’ pioneers as much as they can under the slogan of ‘reward those who contribute’. By granting subsidies and privileges, allowing room for experiments and providing an impressive charging infrastructure, Amsterdam wants to show that electric transport can be the norm again, rather than the exception. With an exceptionally innovative climate pervading the city – Amsterdam was also voted Europe’s innovation capital this year – Amsterdam has developed into a true Living Lab for research institutes, innovation businesses and start-ups in the field of electric transport. Researchers and adventurous entrepreneurs are developing creative, technological solutions for fast charging, smart parking, data use and temporary battery storage for solar energy. For cars, but also for scooters, delivery vans and trucks. The city council facilitates its ‘electric’ pioneers as much as they can under the slogan of ‘reward those who contribute’, granting subsidies and privileges, allowing room for experiments and providing an impressive charging infrastructure. In this way, Amsterdam wants to show that electric transport can be the norm again, rather than the exception. Read all about it in Amsterdam Plan.